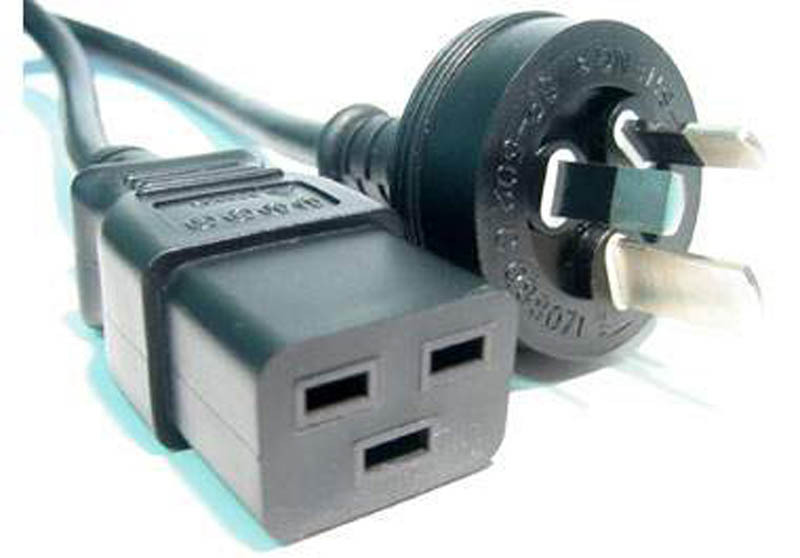 This cable is used to connect a C20 15 Amp female socket to an Australian 3 pin 15 Amp mains power source. Australian approved 15 Amp rating. Fully Molded 2 metre length black cable.